Plus other changes to the Game Bar. 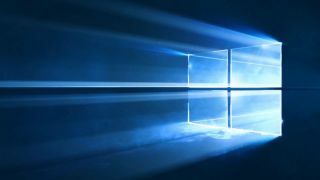 Windows 10 received its October update yesterday, adding several new features to the OS. Most notably, it made DirectX Raytracing available to all users. Amongst these larger changes, as noted by ONMSFT, however, are several improvements to Windows 10’s Game Mode. One of these provides the option for the system to switch off Windows Updates automatically, letting the system prioritise running games, and also stopping the system pestering you about impending updates while you’re playing. As Major Nelson notes: "Fewer gaming interruptions: Based on feedback from gamers, we’ve simplified the way Game Mode works. Now auto-enabled for all games with a master On/Off toggle in Windows Settings, Game Mode suppresses Windows Update driver installs and blocks Windows Update interruptions such as restart notifications while you’re gaming. You may also see improved game performance with less FPS variability depending on the specific game and system." The update also makes some improvements to the Windows 10 Game Bar. To begin with, the Game Bar is now an app that’s accessible from the apps menu. The bar now shows CPU and GPU usage of the game you’re playing, plus your average framerate. Audio controls have also been overhauled, enabling you to better manage your sound when recording footage of a game. All told, the update makes Windows a little more useful and a little less irritating when it comes to running games. If you’re running the October update you can access the Game Bar through the app menu, or by pressing the Win+G keys.